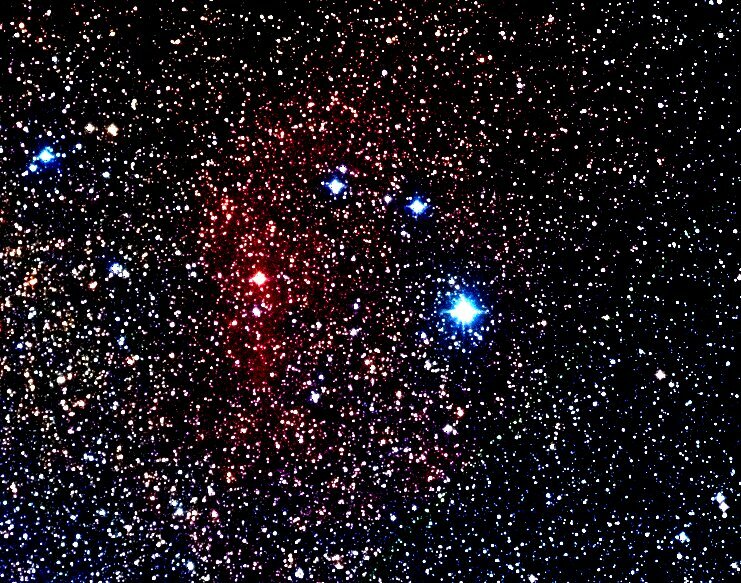 Emission Nebula Serpens 18h06.10 -14°10' 30' x 20' 8 ??? Sharpless 46 (Sh2-46) is an emission nebula in constellation Serpens, very close in the sky to the Eagle nebula. This is a very dim nebula, which can barely be seen on the black & white image. The red image reveals it.